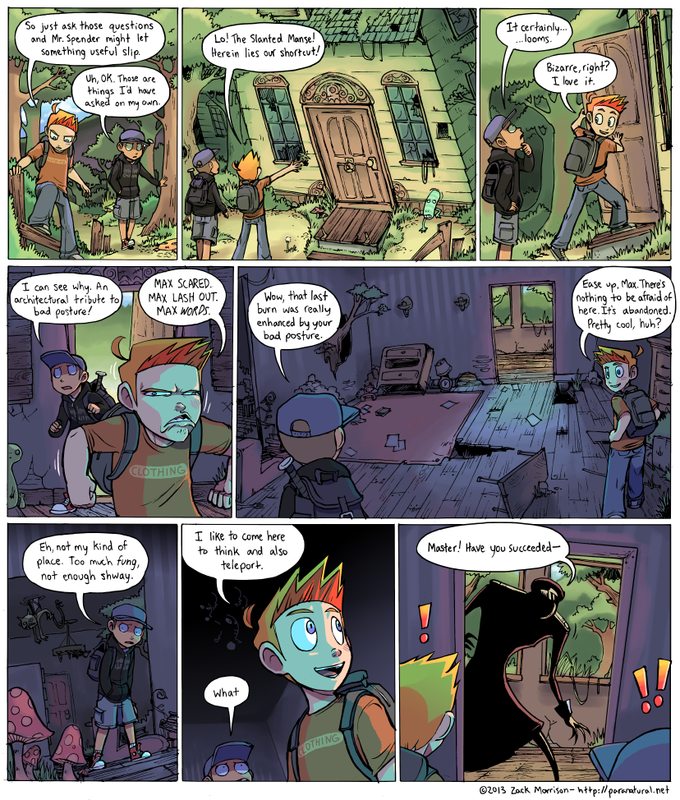 Worldstraveller's Geek Blog: Webcomic: Paranatural Pg.35 , New page!! Webcomic: Paranatural Pg.35 , New page!! okay, Isaac, you're officially my favourite character, you have such a good taste, I understand very well the feeling, this kind of places are so fascinating, I love the 4th panel, it's so funny XD, good impersonation Isaac.